In the past few years, both medical and recreational marijuana have become more and more accepted across the United States. New laws passed at the state level are bringing all sorts of products into the limelight. States passing these laws are giving entrepreneurs the green light to really experiment and create amazing products for everyone, many of which simply wouldn’t be on the market today without legalization. The amount of products available seem endless. From edibles to flower, there seems to be something for everyone. Whether you are looking to ease pain, anxiety, insomnia, or simply want to take the edge off and get a little high, there are now a plethora of specific products made just for you and your specific needs. One of these products we really love talking about is marijuana concentrates. Different types of marijuana concentrates are becoming increasingly popular, but for a lot of people these products can be intimidating especially after only using flower. Because concentrates are much more potent than flower and are often linked to a slightly intimidating an complicated consumption method called dabbing)\, why bother switching those methods? The term concentrates is an umbrella term that refers to a variety of different marijuana extracts which are as you’d expect, “concentrated” with higher levels of THC. Consider the frozen orange juice concentrate you buy at the store, which requires you to add water in order to dilute it into a tasty drinkable juice. Marijuana concentrates are a lot like frozen juice, except in this case, there is no method to dilute the marijuana concentrate. It’s actually meant to be stronger and taken in much smaller amounts than flower. Marijuana concentrates aren’t as scary as they sound. Concentrates are more potent, yes, but not all concentrates get you high. Marijuana concentrates can be administered differently. Dabbing isn’t for everyone so, look into trying ingestible oils, tinctures, hash and oil pens. Oregon provides some of the most unbelievable products out there. We are excited to share with you our 5 favorite types of marijuana concentrates. These marijuana concentrates might sound intimidating at first, but if you start out slow you will quickly learn how exciting these products are to try. Even if you aren’t currently interested in switching up your daily cannabis routine, consider the information provided below as an informational resource. Continue reading to learn what products you may actually enjoy and help ensure you don’t have an unpleasant experience your first time trying marijuana concentrates. Siskiyou Sungrown cannabis oil begins with pure air, water, soil and sun of the Siskiyou Mountains of Southern Oregon. These concentrates are crafted from their own sun grown plants which are cultivated in native soil, harvested at the peak of medicinal potency. They use only certified organic cane alcohol to extract full spectrum, whole plant, resinous cannabis oil. What does that all mean for you when first trying this product? This company has developed a 1:1 cannabis oil which has 24.97% THC and 34.61% CBD. 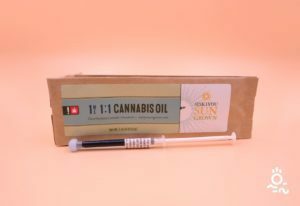 This way you don’t need to stress about paying super close attention to the serving size because this marijuana concentrate comes in a large syringe style tube. This will make it easy for you to properly give yourself a single serving out of the 50 servings in each container. This 1:1 oil is known to give you the giggles! It has helped many patients during chemotherapy and is known to provide a very euphoric feeling. Vaporizing is the innovative wave of the future for the cannabis industry. One of our favorite new methods of smoking marijuana is vaping. Vapor is consumed by activating the battery powered heating element that most of us know as a vape pen. These pens offer a convenient and discreet way to try concentrated cannabinoids. By simply taking no more than a 6 second pull (your pens lights will usually flash when you have reached the full 6 seconds) or less, you can exhale softly and within minutes feel it’s effects. 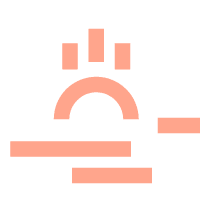 This method gives you full control over your experience with marijuana concentrates, and is a reliable method to ensure you don’t accidentally do too much. New users can start with a half second or one second puff and move up from there based on how it makes them feel. The result should be a tasty, scentless vapor smoke. This cartridge has 81.73% THC and 0% CBD, so please tread lightly. A little bit goes a long way. Try only hitting your pen for 1-3 seconds at first, instead of the full 6, and wait for up to 10 minutes after exhaling to see if you need more. This hybrid cartridge is known to crush stress under the weight of it’s heavy euphoria. You should feel happy and relaxed expecting an earthy, woody, pine taste. Okay, so you are ready to try dabbing and you need a first time suggestion. Dabbing may seem a bit scary at first, but it’s one of those methods that comes easily once you’ve seen it done. Dabbing is a flash vaporization of marijuana concentrates once applied to a hot surface and inhaled. Not too complicated, but here’s the catch. Depending on the extract type and quality, concentrates typically range from 50 to 80% in THC. Dabbing is not for everyone because the dosing process is more delicate, but once you’ve gotten the hang of it, concentrates can offer you new levels of physical relief and unique cerebral effects. Once you have all of the tools needed we highly suggest starting very small and you can increase the dose once you feel comfortable enough doing so. We also suggest you dab with a friend that has experience with dabbing and it’s tools to help show you the ropes. 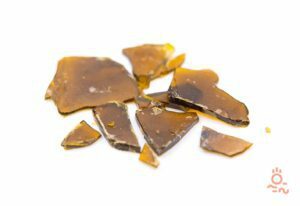 Now that we have all of that out of the way, we suggest Dosidos Shatter for all your dabbing needs. This is an indica-dominant hybrid that looks like wax. This strain is a feast for your eyes. It should smell sweet, pungent and earthy with a slight floral funkiness. These aromas should mix nicely with medical-grade body effects that are more on the sedative side. CBD is all the rage right now especially since we have effective extraction methods and in depth knowledge on how to best use it. As we mentioned earlier, not all types of marijuana concentrates get you high and if you’re interested in a vape pen but don’t want to necessarily be high, this is the vape pen for you. Plus, it’s disposable! Select Strains has some amazing cartridges, but sometimes you just need a one hit wonder. 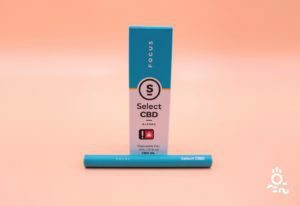 This CBD vape pen is formulated to provide the clarifying benefits of CBD combined with a tranquilizing, stimulating peppermint extract. This pen has 0% THC and 48.2% CBD. It should help clear your mind in a discreet way. 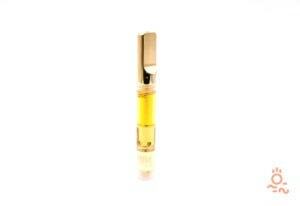 Select vape pens include blends of essential oils for added benefits to focus and concentrate. This disposable pen includes 150 six second puffs. It should taste and smell like fresh, smooth peppermint. This is one of our favorite disposable pens in Oregon thus far. Another one of our favorite CBD concentrates is a spray designed and created by SWIFT. Each bottle of SWIFT contains 400 mg of highly concentrated, non-psychoactive CBD hemp oil in an easy-to-use sublingual spray. SWIFT has been formulated to allow CBD to become atomized. By doing so, your body is able to absorb the super concentrated formula through the lining of your mouth, bypassing the digestive process that traditional CBD tinctures must undergo. This allows for a more efficient and faster method for CBD to make it into your body and provide the therapeutic benefits you have been searching for. This is a concentrate that will not get you stoned, but help you relax in all the right ways.